Everything you should know about marital financial planning. 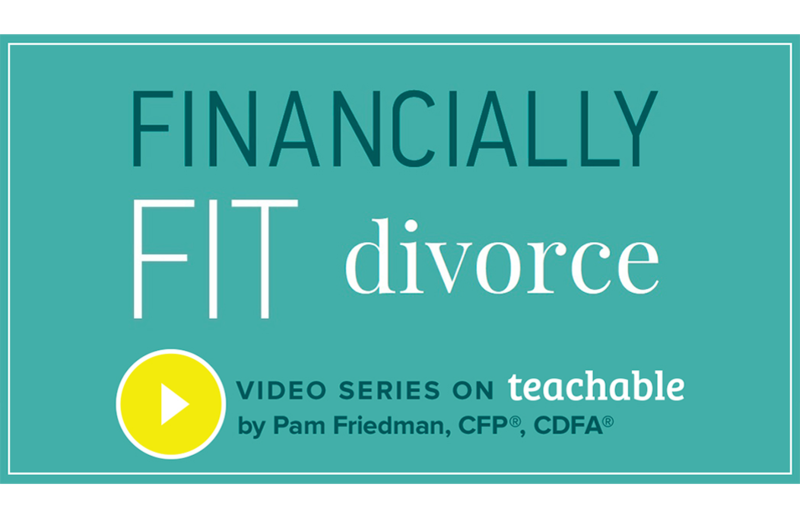 For less than the cost of one hour of an attorney’s time, The Financially Fit Divorce online course will teach you what to expect throughout the divorce process as it relates to money in your relationship. Through stories, tactical information, data gathering, and organization, the lectures will cover topics you need to know, including how to divide the home, how to divide retirement assets or investments, how to deal with college planning, how to value and divide a business in divorce, and how to restart your own financial plan after divorce. The focus is on saving you money and time – before, during, and after divorce. Additional articles about preparing your money for marriage and protecting your money in divorce. 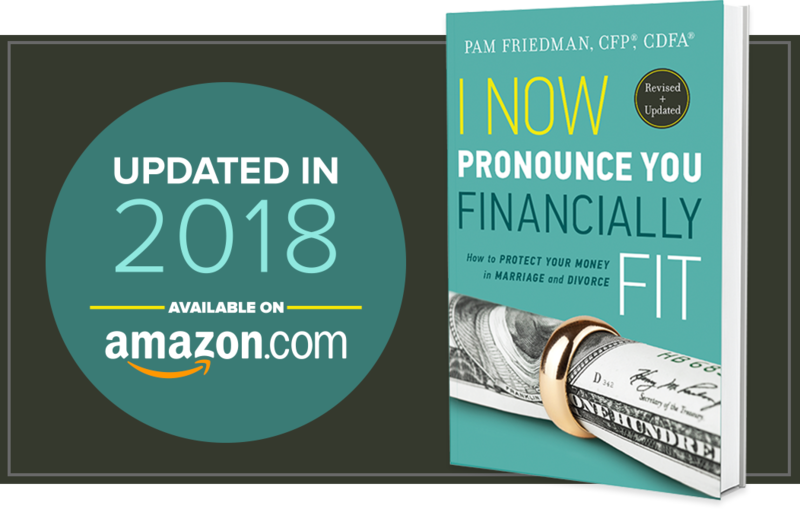 Helpful newspaper, magazine and online resources about important financial matters written by Pam Friedman. Meet Pam Friedman in person! Check out her schedule of upcoming events, classes, and appearances. Interested in having Pam Friedman speak at your next event? Are you a member of the press? Members of the media are encouraged to contact pam@inowpronounceyoufinanciallyfit.com with press inquiries. Sign up to download these helpful financial worksheets! Pam Friedman is a Certified Financial Planner™ professional and Certified Divorce Financial Analyst®. She is founder of Divorce Planning of Austin and co-founder of Silicon Hills Wealth Management. Her particular area of expertise is marital financial planning which includes planning for the risk of divorce and educating clients who may be unfamiliar with financial issues and investing during and after divorce. She has been featured in national publications and on- air with New York Times, NY Daily News, Elle Magazine, U.S. News and World Report, Self Magazine, Estate Planning Magazine, ABC News Radio, Daily Finance (AOL), and the Divorce Financial Analyst Journal. She is a founding member of The Center for Integrated Divorce, an Austin, Texas based network of mediators and other consultative professionals in divorce. She is a trained family law mediator, a trained financial neutral for collaborative divorce cases, and a member of Collaborative Divorce Texas. She holds an MBA from the McCombs School of Business at The University of Texas at Austin. She has worked as an investment banker, specializing in middle-market lending and private equity in New York, served as executive director of high-yield bonds for an elite firm in London, and taught graduate-level investment management courses for several years at her alma mater. Most recently, Pam was recognized as a Finalist for Austin Woman Magazine’s Woman’s Way Business Awards and a Nominee for both Austin Business Journal’s Profiles in Power and Investment News’ Women to Watch. Drawing on her extensive experience, spanning nearly 30 years in the industry, Pam advises clients on how to address finances as a couple. By being sensible, informed, and realistic, couples can prevent many of the financial problems that cause divorce–or that divorce can cause. 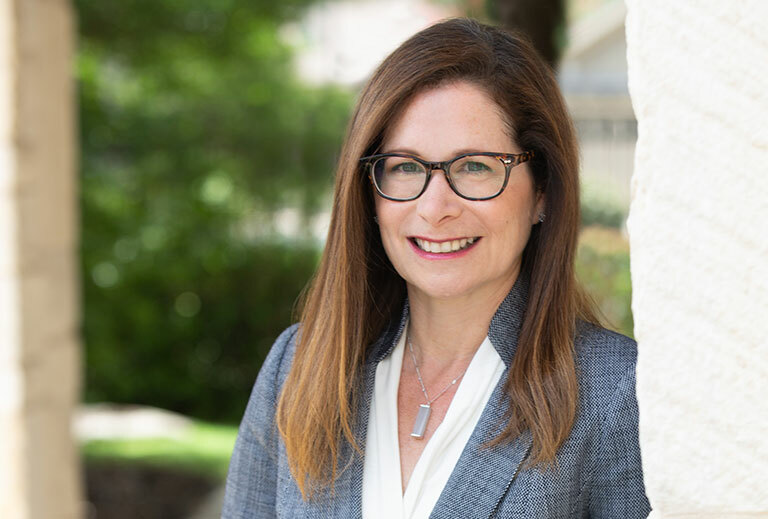 To learn more about how Pam Friedman uses her expertise and knowledge to help clients with their financial and investment planning, visit DivorcePlanningofAustin.com.